Receive a $40 reward card when you test drive the 2018 SANTA FE Sport. Choose between a Amazon, a Target or Visa Gift card. No purchase necessary. 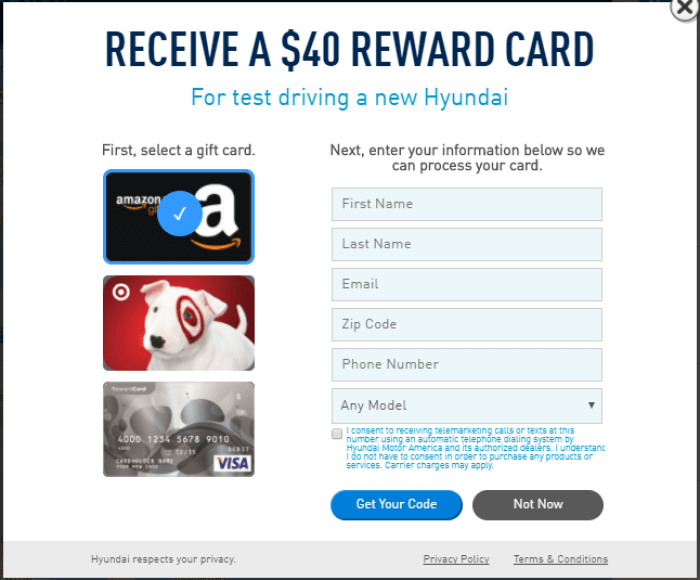 Click this link below to find the closest location and to get your access code to test drive the car for the gift card.